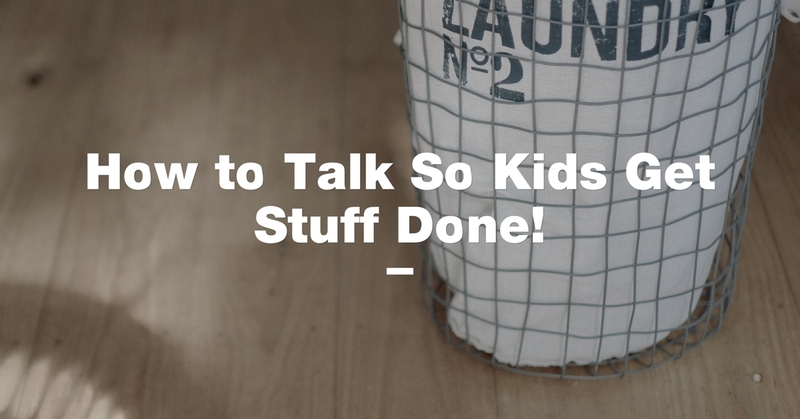 One of the hardest things in parenting is getting kids to realize that there are things you have to do simply because they must get done—whether or not you actually want to do them. Sometimes it’s a little thing: “Would you please just get your shoes on so we can leave the house? ?” Other tasks—like tackling Mount Laundry or starting that big assignment that’s due next week—are a bit bigger. But not only is it possible for your child to want to tackle big and small challenges on her own, tapping in to your child’s intrinsic motivation is the best way to actually encourage her to get something done. Nagging– Constantly being on your child’s case, reminding him that there’s a task to get done, isn’t really pleasant for anybody. Sure, your child might eventually do what you want, but how much misery did you both experience in the meantime? More importantly, nagging teaches your child that the main reason to get something done is to get his annoying parent off his back—not really a glorious parenting success, huh? Punishment– Like nagging and bribery, punishment is a short-term fix that isn’t as effective as we really want. It won’t work every time, and the constant threat of taking away privileges—and dealing with a whiny, mopey child afterward—is a sad trade-off for getting a task done. To understand why these common parent approaches don’t really work, it’s important to understand how your child is motivated. You’ll notice that in each approach of nagging, bribery, and punishment, there’s a common thread—YOU. You, the parent, are the driving motivator. Even in positive reinforcement, a behavior tool that we pediatricians love to recommend, some external factor is the driving force for your child’s behavior. But why is intrinsic motivation better? Research shows that both types of motivation can work, but intrinsic motivation is more powerful. How? If a person is offered an extrinsic motivator for something they were initially intrinsically motivated to do—say, your child used to put his own laundry away, but one time you offered him a treat if he’d do it right when you asked—then the intrinsic motivation is decreased or even extinguished. After all, why do it just because it makes me feel good when I can get something more out of it? So, you ideally want to tap into your child’s intrinsic motivation—to really inspire your child to want to do the act for her own benefit. The key to inspiring your child’s intrinsic drive is to use a technique called Motivational Interviewing—and it can be done with just two questions. Motivational interviewing is a tool used to help someone recognize their own reasons for doing something. We physicians are taught to use this to help patients decide on their own that it’s worthwhile to make healthy changes like quitting smoking or eating well. The key to motivational interviewing is that it needs to be the person with the problem—in your case, your child who doesn’t want to do something—who needs to recognize and make the change. You’re guiding them, but not trying to persuade them. Be non-judgmental, non-confrontational– This might be hard when you’re sick of your child’s room being so darn messy, but it’s important. If your child feels that you are upset with her or pressuring her, then she’s likely to shut down. 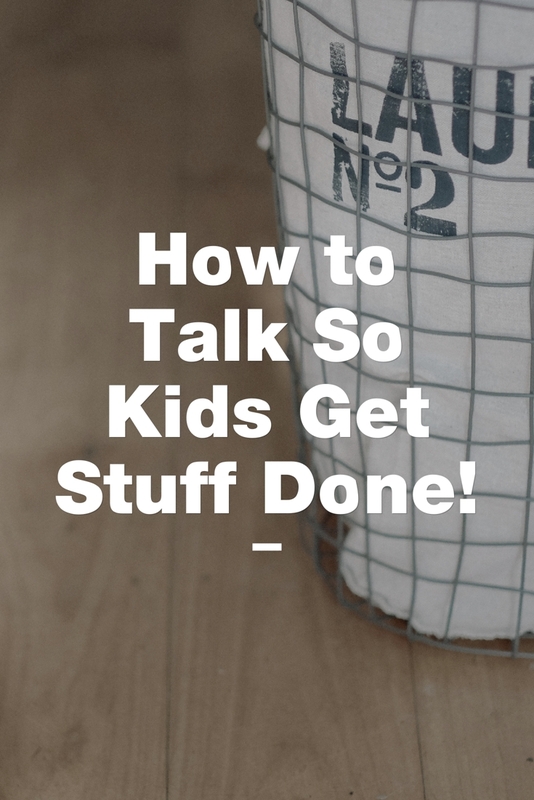 You talk less, they talk more– Remember, the goal isn’t for you to make your child do something, but rather for him to realize on his own why he should get it done. Listen reflectively– Rather than jumping in with counterpoints to your child’s answers, listen to what she has to say and give her space to keep talking. You can even summarize what you hear and bounce it back to her. Again, the goal is for the motivation to arise intrinsically from within your child, not from you. The questions you need to ask come from author Daniel Pink. Daniel Pink isn’t exactly a parenting expert. Rather, he’s an expert in management, messaging, and behavioral science—which, really, are key components of parenting and what you’re trying to achieve here. In his work on Michael Pantalon’s book Instant Influence: How to Get Anyone to Do Anything—Fast and on his own book Drive: The Surprising Truth About What Motivates Us, Pink outlines two questions that tap into your child’s internal motivation. On a scale from 1 to 10, with 1 meaning I’m not ready at all, and 10 meaning I’m ready to do it right now, how ready are you to [do the task in question]? Okay, why didn’t you pick a lower number? Notice that in the first question, you ask “how ready are you,” NOT “how much do you want to.” If you ask how much your child wants to do what has to be done, you’re more likely to get a ‘1’ or similar number in response. By asking about your child’s readiness, it becomes implied that the task is going to happen sometime, and you’re less likely to get an immediate ‘1’ response. The clincher is the second question—“why didn’t you pick a lower number?” In answering this question, your child needs to defend why he didn’tpick a ‘1,’ etc. In answering this question, he’ll essentially tell you—and himself—all the reasons he shouldengage in the task. In answering the second question, your child realizes and verbalizes his own reasons for getting the task done. He finds his own intrinsic motivation. To answer this question, your child brainstorms solutions that will help her get the task done. “I’m hungry now…I’ll be ready to do it after lunch.” “I could probably do it if you’d help me.” By thinking of ways that she’d move from just a ‘1’ to a ‘2,’ your child is essentially moving much closer to a ‘10’ and actually engaging in the task at hand. Every family encounters plenty of times when a kid just doesn’t want to do something that simply has to get done. 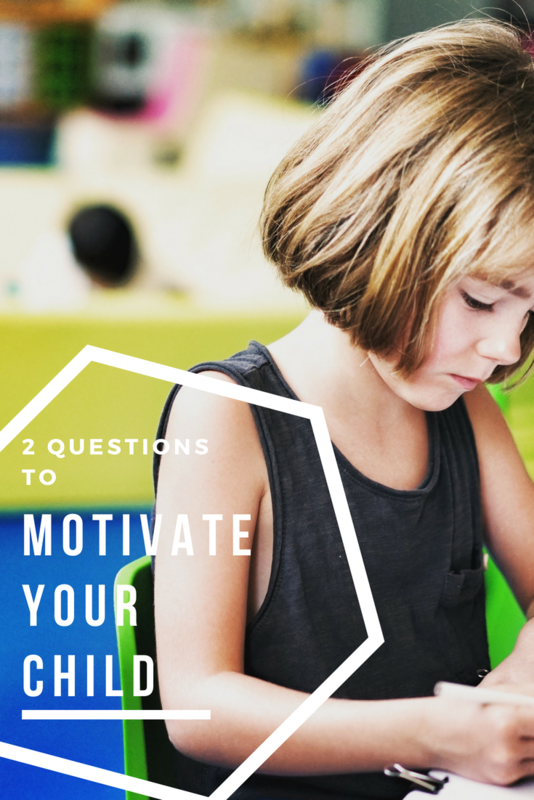 Using this simple 2-question style of Motivational Interviewing can encourage your child’s own intrinsic motivation to dive into a task in a way that’s more beneficial for your child and the whole family. Think of it less that you’re persuading your kid to do something. Instead, think of it as you helping to inspire her to realize why she should. 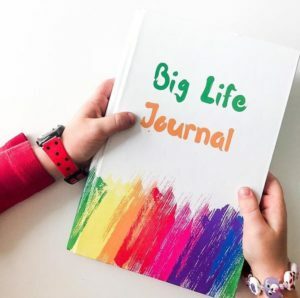 This simple approach takes you one step closer to raising an inspired and inspiring adult—and will hopefully leave you with less nagging and maybe even a cleaner house along the way.